Hello again! Each day I am getting comments from new people. Annie, thank you for your sweet comments. 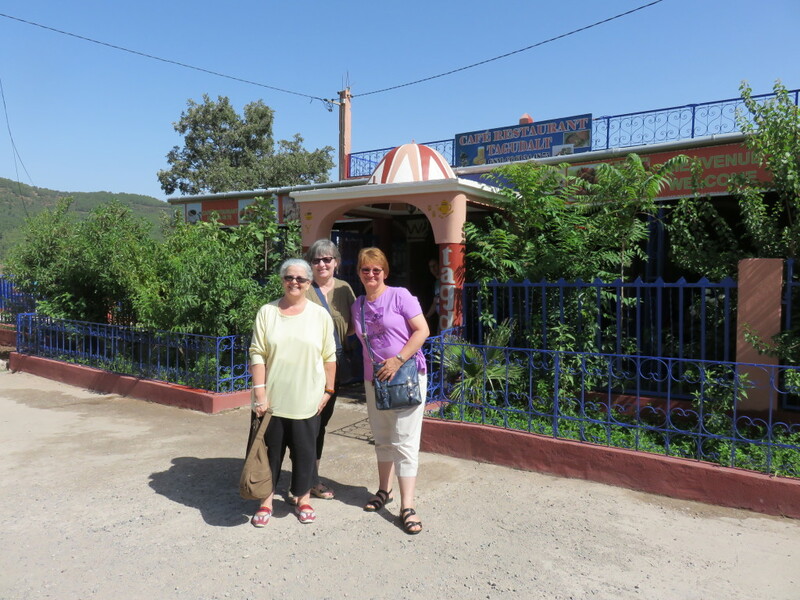 I am very glad to see that you are all travelling with us. 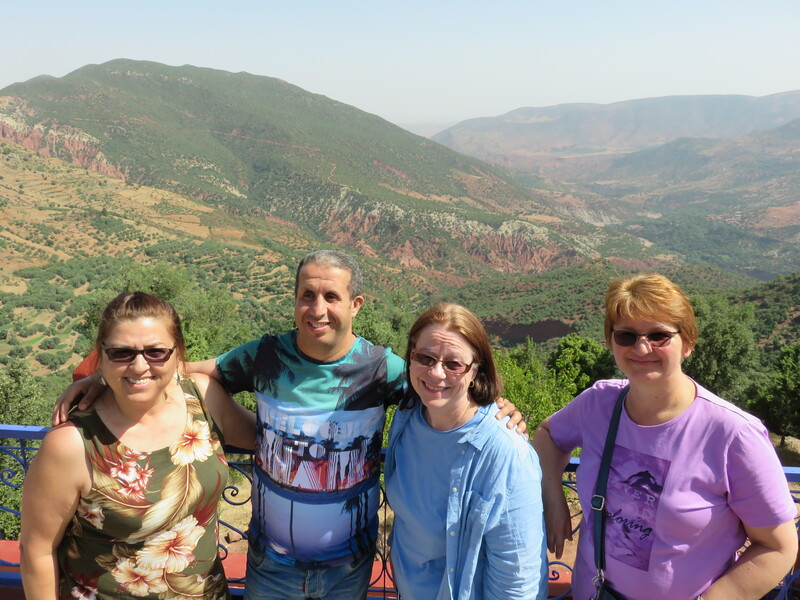 Today we crossed the Atlas Mountains. It was a long and slow journey. Some of us needed Gravol to survive it. Before I show you the mountains, look at this store/restaurant by the road. Isn’t it beautiful? 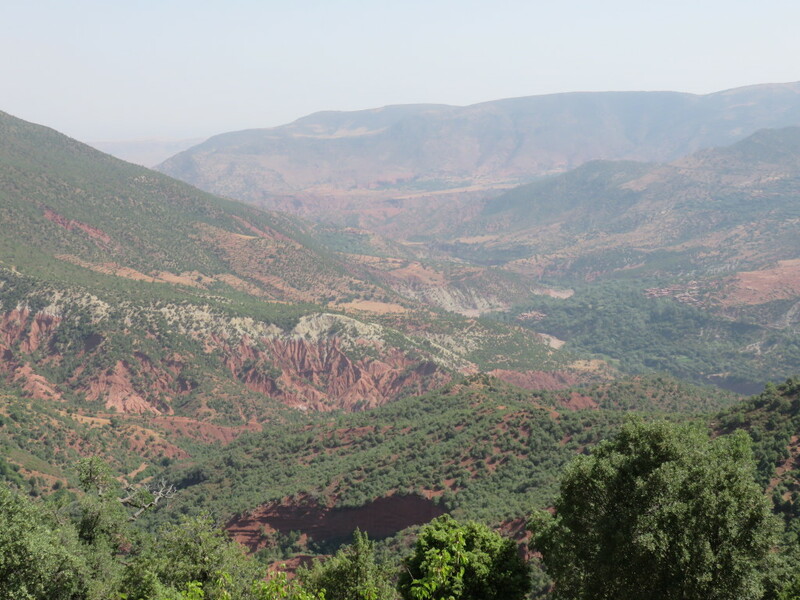 The Atlas Mountains is a mountain range which stretches across northwestern Africa extending about 2,500 km through Algeria, Morocco and Tunisia. 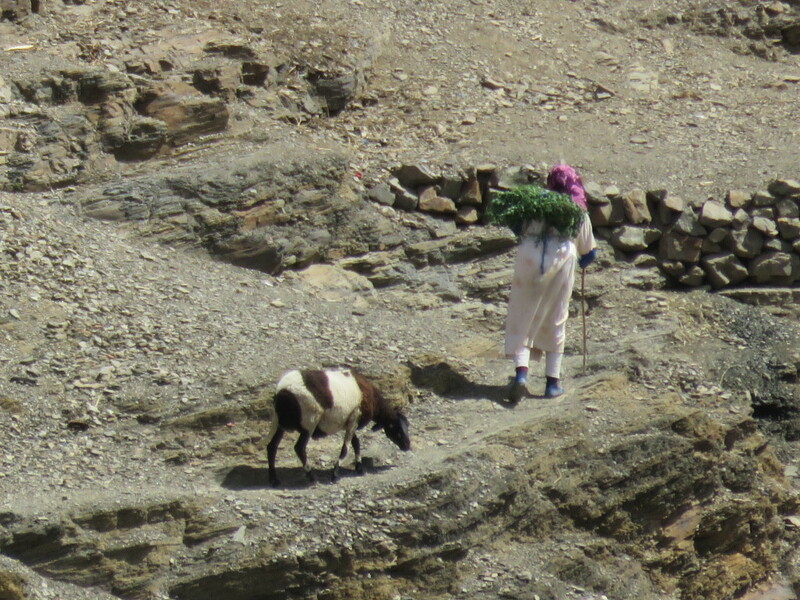 The highest peak is Jebel Toubkal, with an elevation of 4,167 metres in southwestern Morocco. 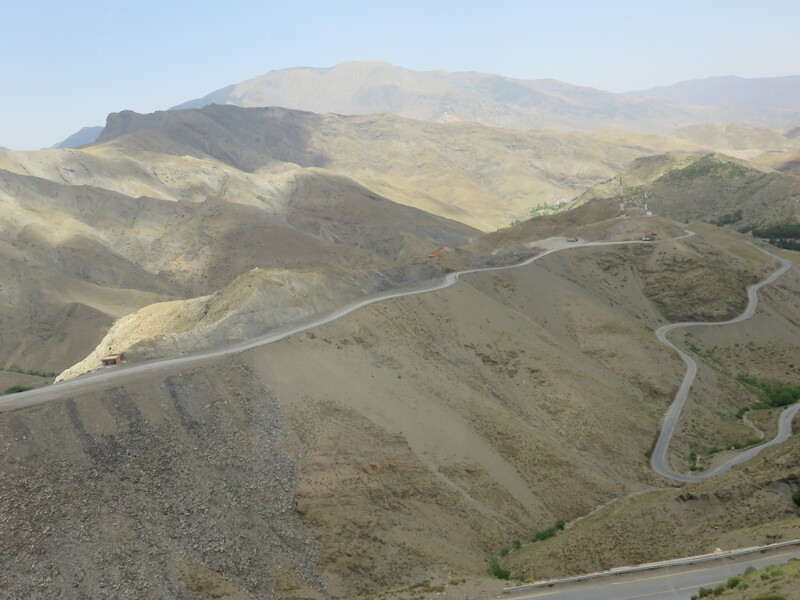 The Atlas ranges separate the Mediterranean and Atlantic coastlines from the Sahara Desert. The population of the Atlas Mountains is mainly Berbers. 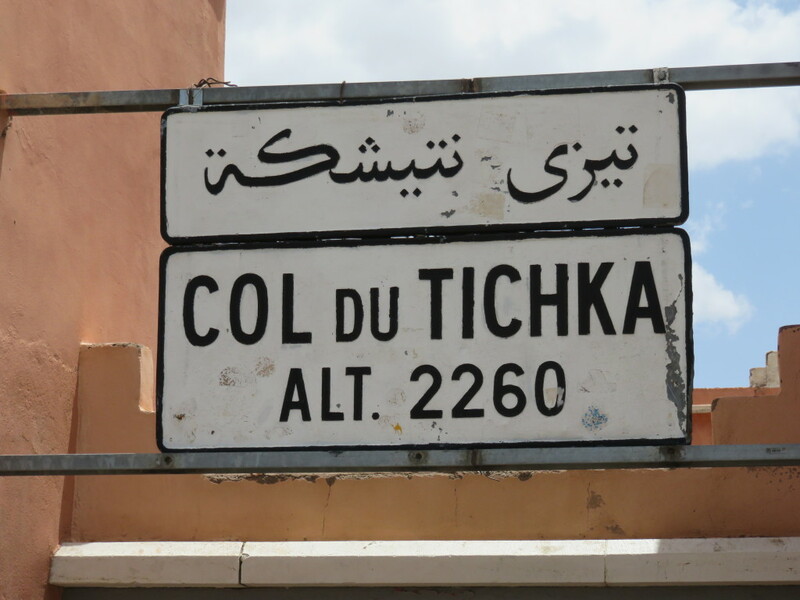 Tizi n’Tichka is a mountain pass in Morocco, linking the south-east of Marrakesh to the city of Ouarzazate through the High Atlas mountains, elevation 2260 m above sea level. 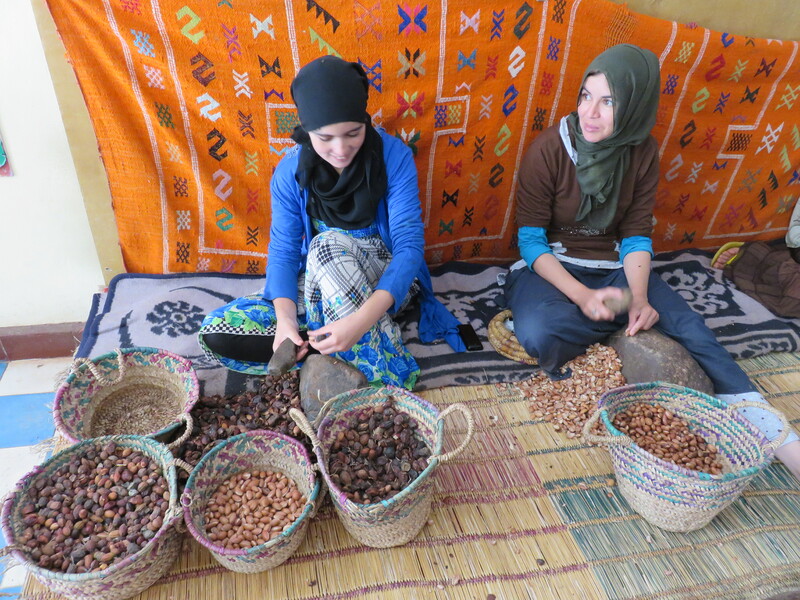 South of Marrakech, there are 3 or 4 women’s cooperatives producing Argan oil, despite the fact that there are no Argan trees in this area (the Argan fruit is transported here). 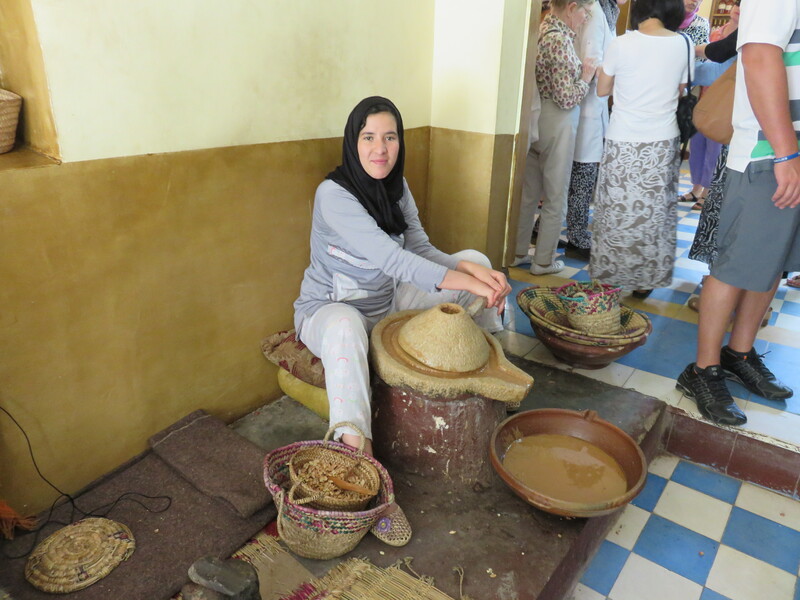 These cooperatives have been created (like many others in Morocco) to help improve the economic status of the local Berber women. The Argan tree is endemic to Morocco and is confined to the south-western region, south of Essaouira and bordered by the Atlantic. 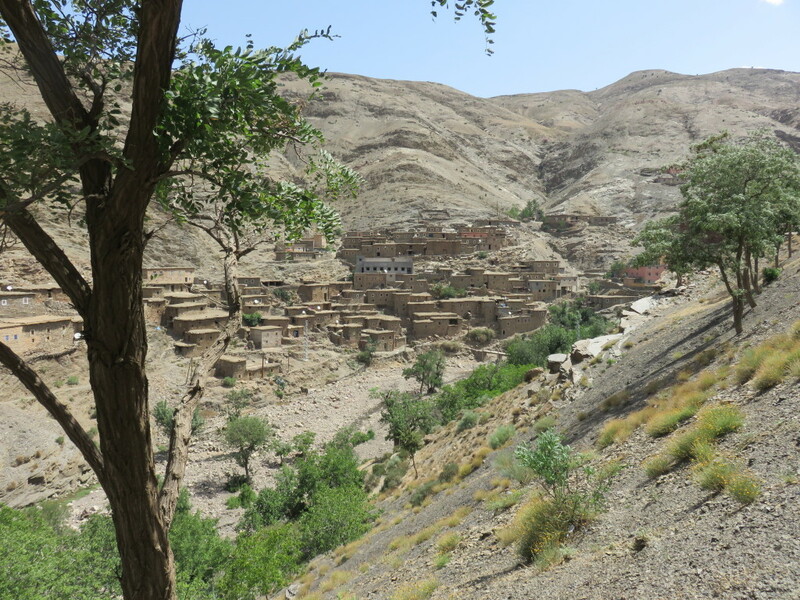 This endangered species of tree is now under the protection of UNESCO and Argan oil remains one of the rarest oils in the world due to its small and specific growing area. 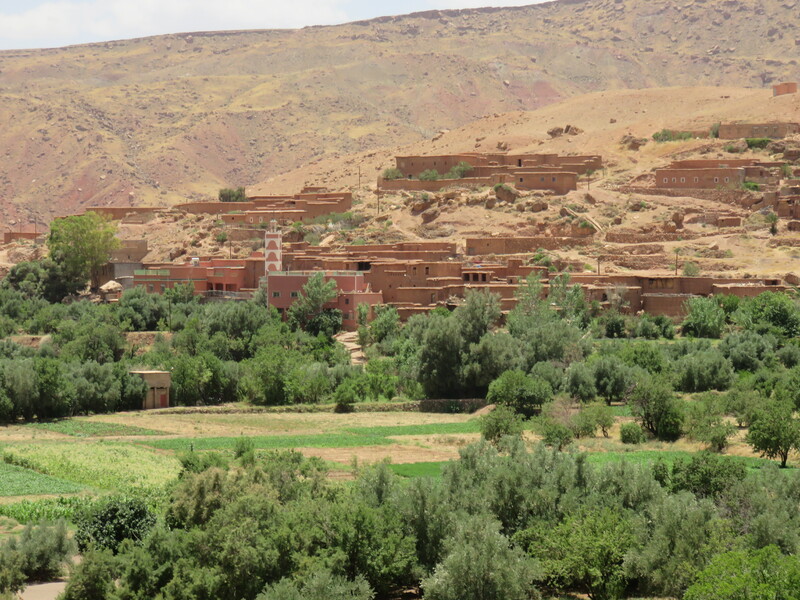 It is globally known for its cosmetic and nutritional qualities, although the local Berber women have forever used it in traditional Moroccan medicine as well as for culinary purposes. 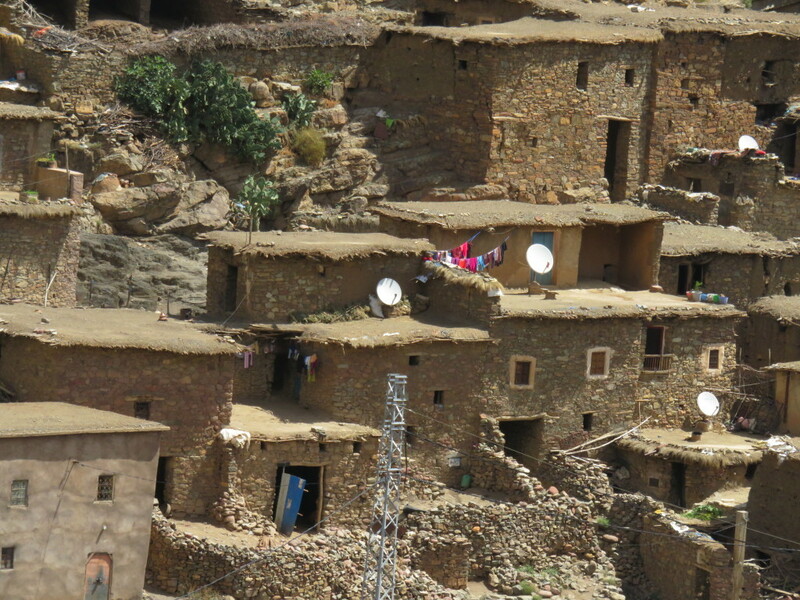 Our next hotel is located in the Sahara desert area. I will try to work on more posts but everything depends on WIFI. 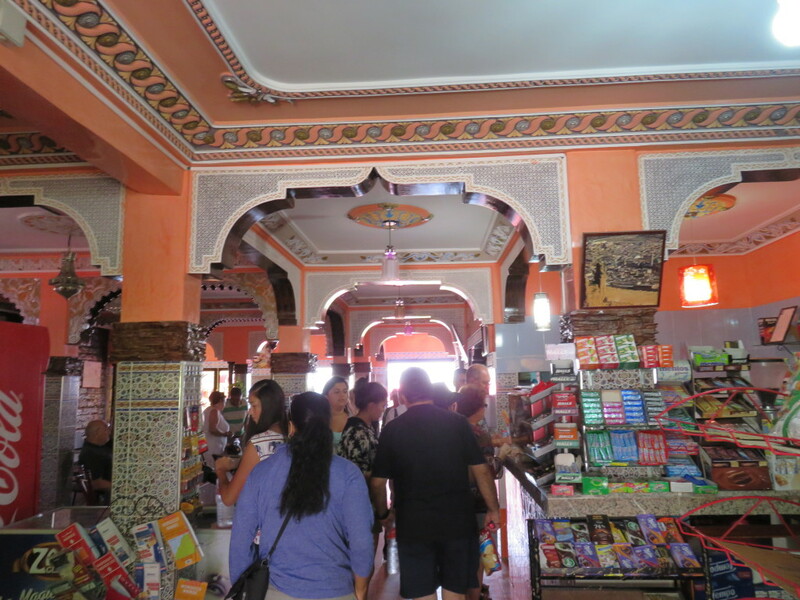 If I am not able to put a new post on the blog please wait patiently until we get to Fes. All your posts have made me want to come join you! Warto spotkac sie z tak ciekawa kultura; zwiedzic tak wiele zabytkow i poznac tak wiele interesujacych miejsc.